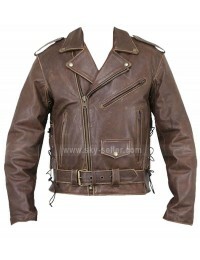 Motorcyclist jacket is supposed to have some sort of belts and strips to add to its aggression. 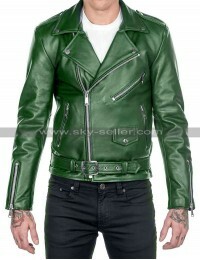 This Green jacket is perfect all in all due to its sophisticated features. 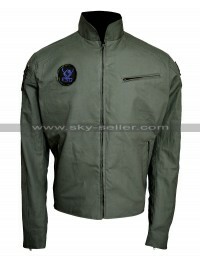 Belted Jacket has the wide lapel collars with silver color shiny buttons at corners. 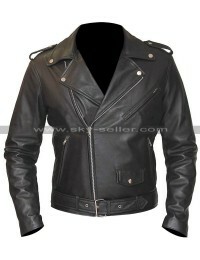 Vintage Jacket has the asymmetric zipper at front for closure. Total 4 zipper pockets make it more valuable. Belt has been placed at front waist. Shoulder has the close loops with full sleeves.